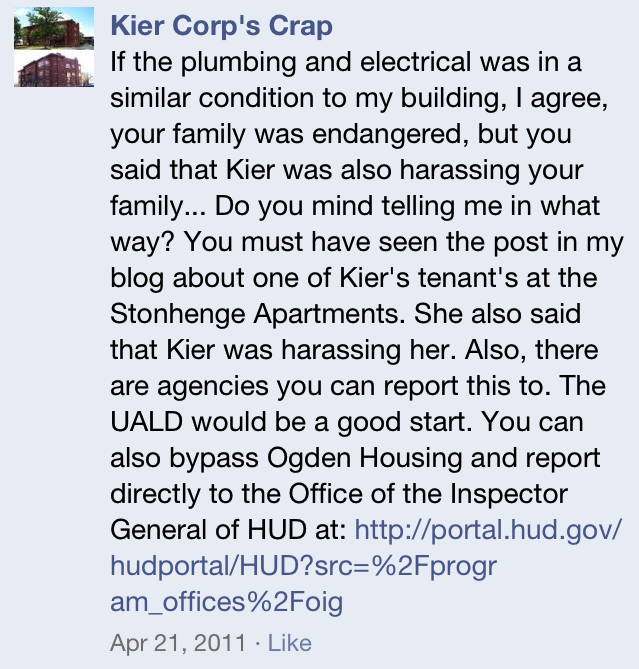 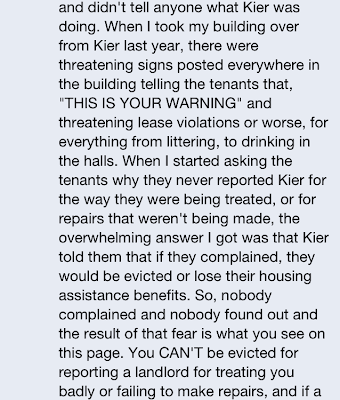 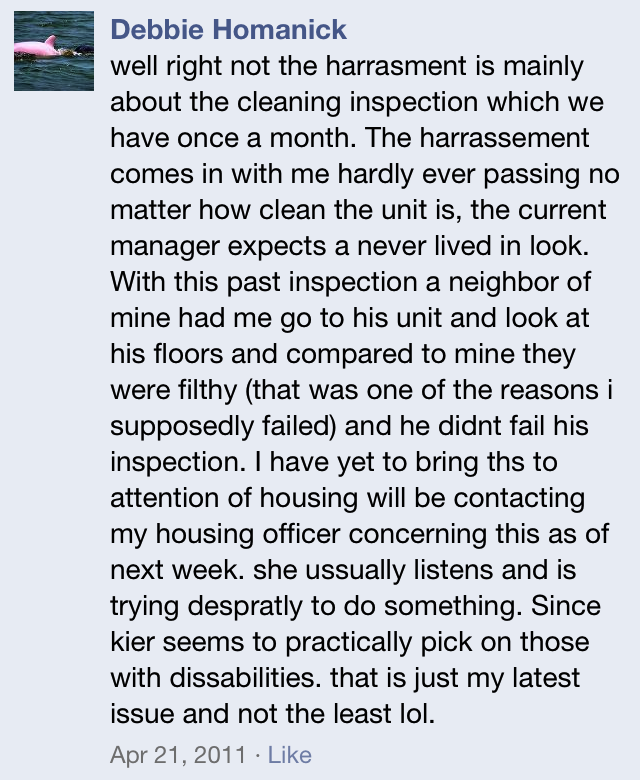 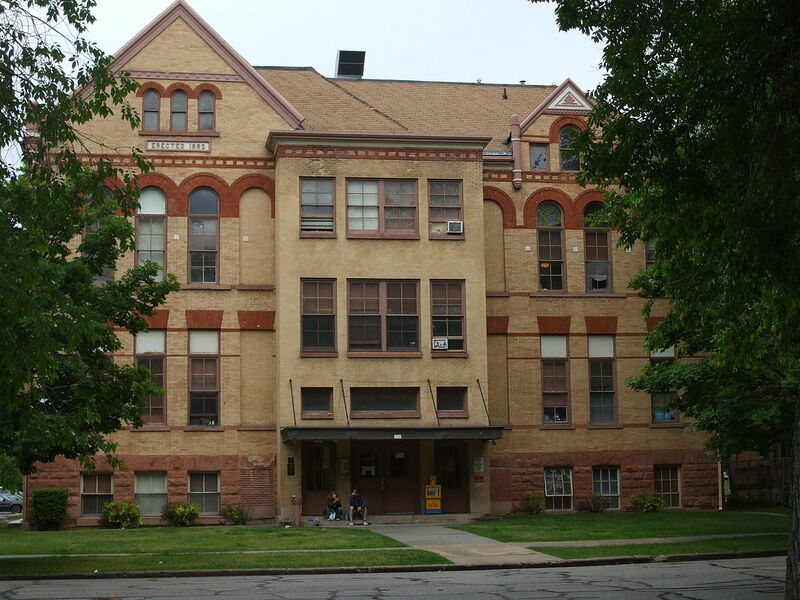 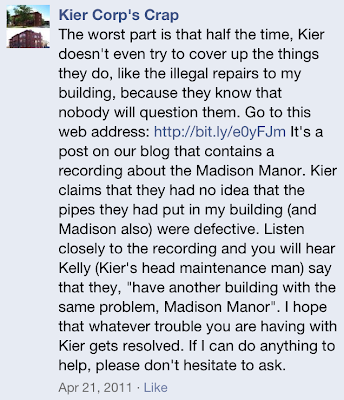 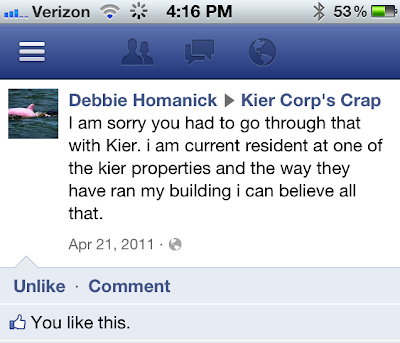 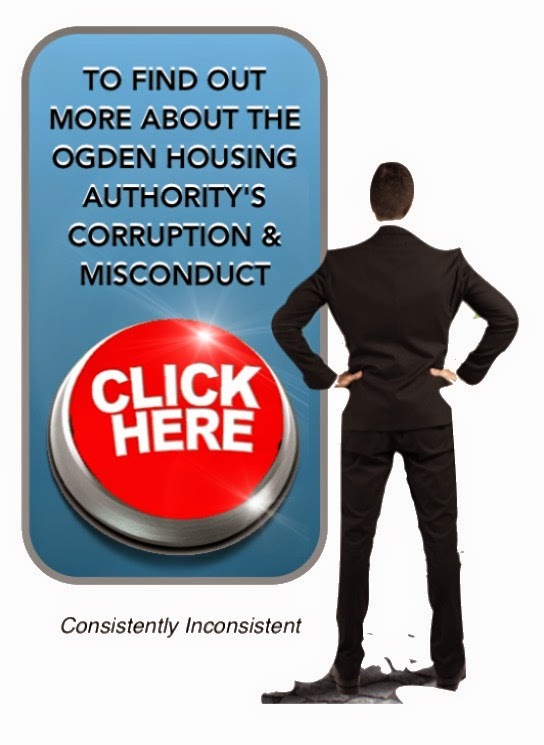 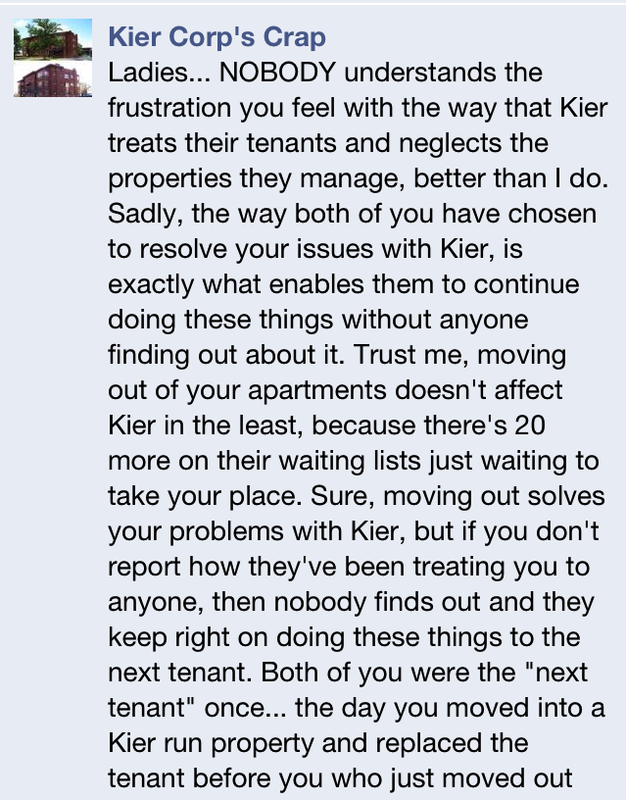 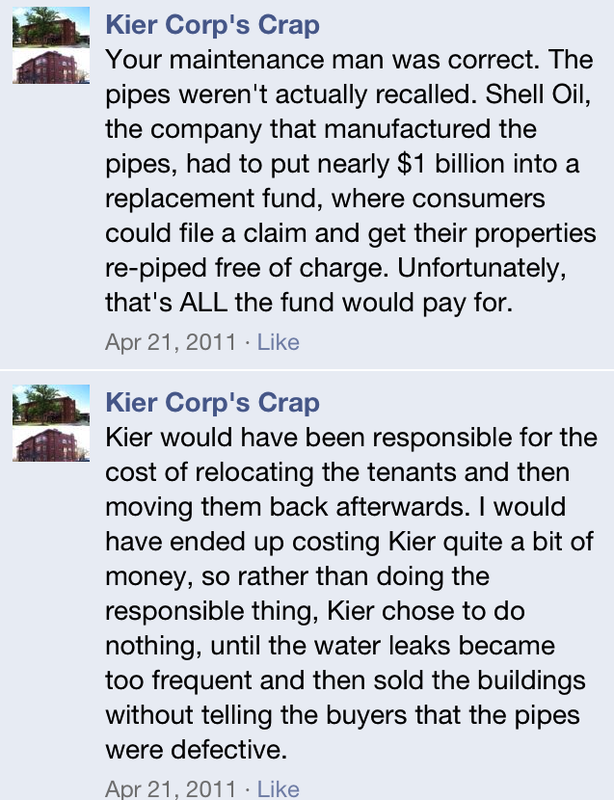 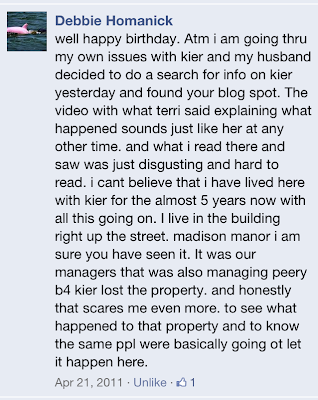 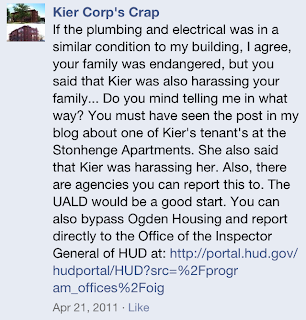 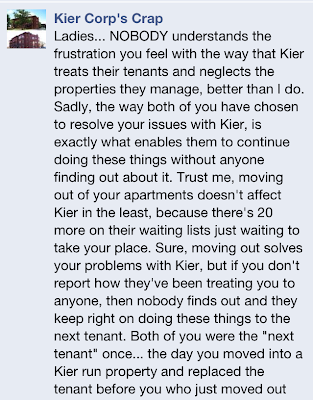 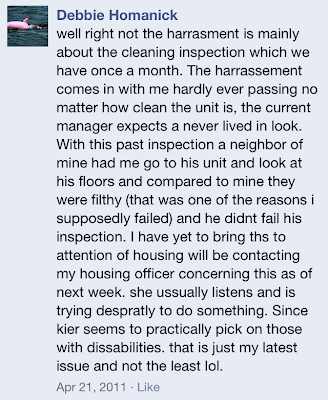 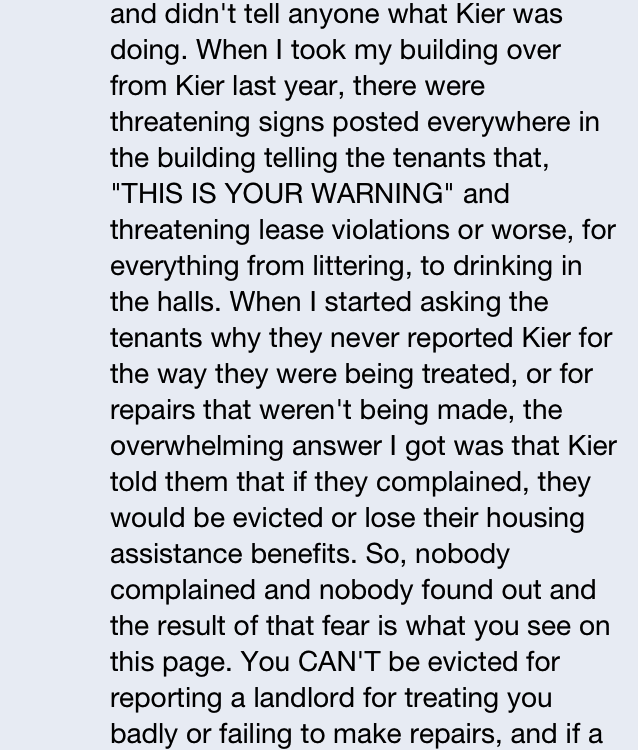 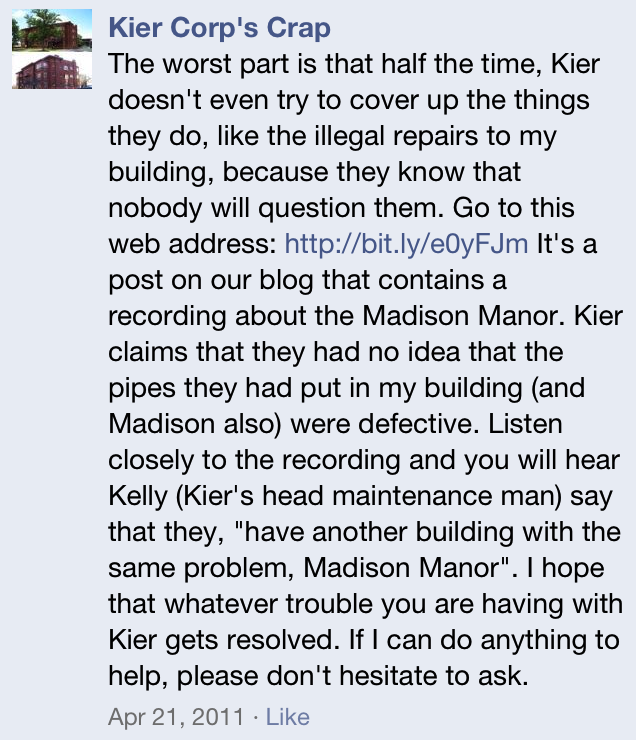 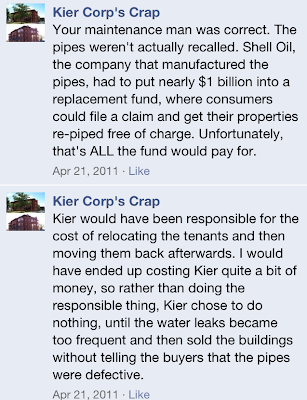 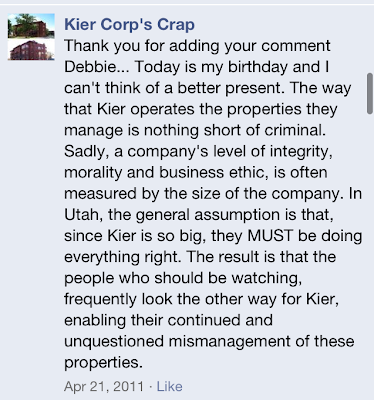 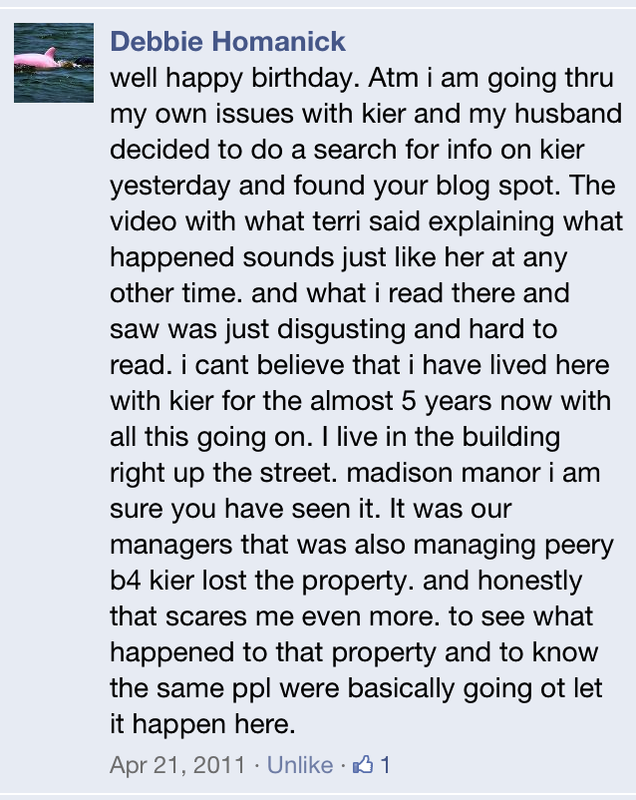 Madison Manor - "The Hell Hole"
Complaints and accounts, from a tenant at ANOTHER Kier owned and managed property... Evidently, they don't do a very good job managing or maintaining the Madison Manor Apartments either. 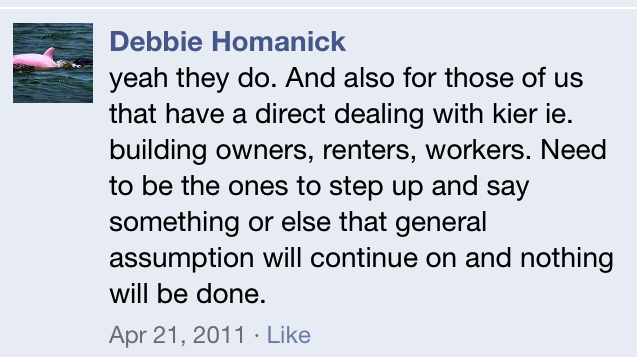 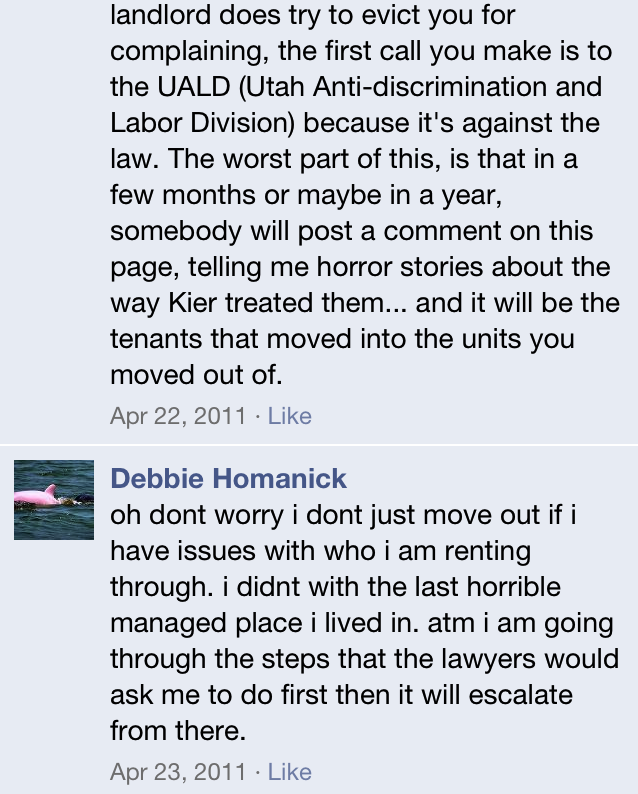 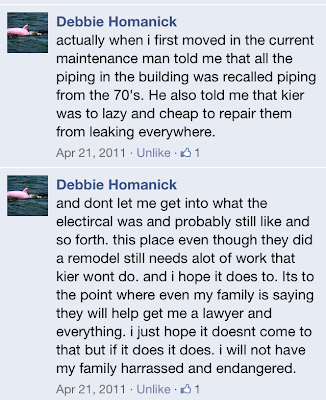 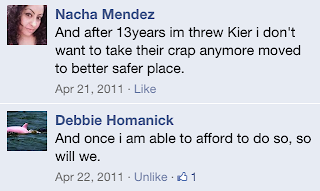 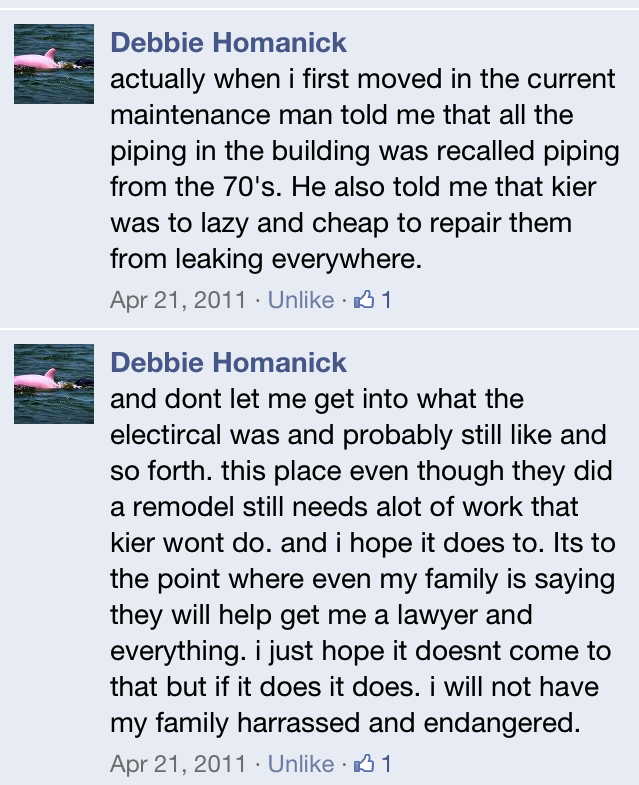 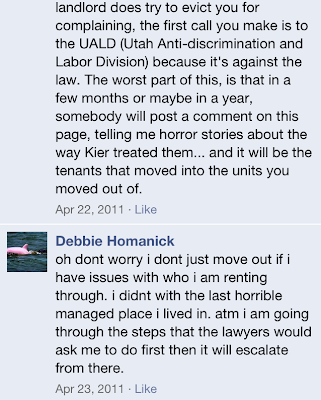 A little more than a year has passed and Ms. Hominack is apparently moving out of the Kier owned and managed, Madison Manor Apartments. 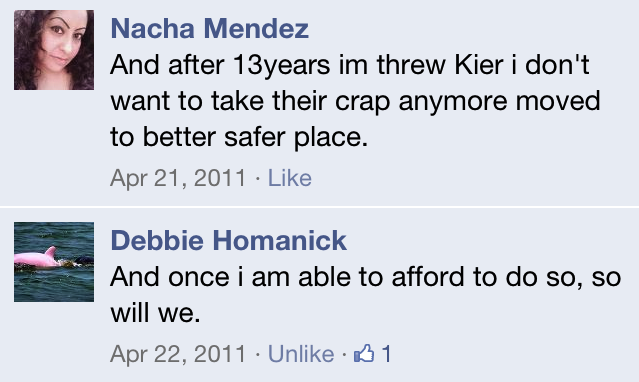 ...I wonder if she will?